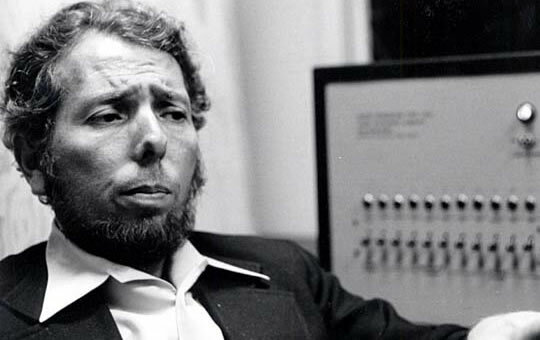 In the early 1960s American social scientist Stanley Milgram ran a series of now infamous experiments into obedience in humans. What he found was that we are surprisingly, and shockingly, influenced to do things that would otherwise not be in our nature by very little in the way of social authority. In his work, a man in a white coat issuing instructions was enough for many to perform acts up to and including seemingly ending the life of another human being. I was reminded of Milgram’s research today as I read stories of gullible iPhone users believing a joke that had filtered around the internet that Apple’s new iOS 7 would make their handsets waterproof. W, T and indeed F? But this is the latest in a long history of internet-based gullibility. Check out sites like http://www.snopes.com for vast catalogues of urban myths, and other pranks in which the internet has provided a sumptuous culture on which dumb-assed human activity has grown. It’s made me wonder – have the Internet, the devices we hold in our hands, and the social networks that many of us increasingly rely upon – become the new white coats of authority? In our time poor, information overloaded times is something being on Twitter now reason enough for many folk to lose their critical faculties and start spouting (and reinforcing) stupid things? In my time working in the world of IT, the phenomenon has been around for some time. Back in the day, alongside computer viruses, one of the big headaches of the IT world was the panoply of nonsense that folk would cc the entire company about, because it came from a trusted friend and it contained enough language that they didn’t understand. Phishing attacks, usually for information like banking details from trusting folk, rely often on little more than a copied company logo to be able to extract enough information from enough people to make the whole thing worthwhile. For all of the talk recently about changing the technology curriculum in schools to move from using software to making software, allowing kids to develop the critical faculties necessary to process the potential validity of messages is surely something that is more important for well-rounded digital citizens than how to do coding? For brands, it also shows how weak the idea of brand protection is in these massively connected times. A snaffled logo and the right font it appears is enough to drive crazy consumer behaviour. What brand value is damaged, especially with a brand like Apple that for years has been saying that their customers don’t need to worry about security because they (Apple) have got it covered.